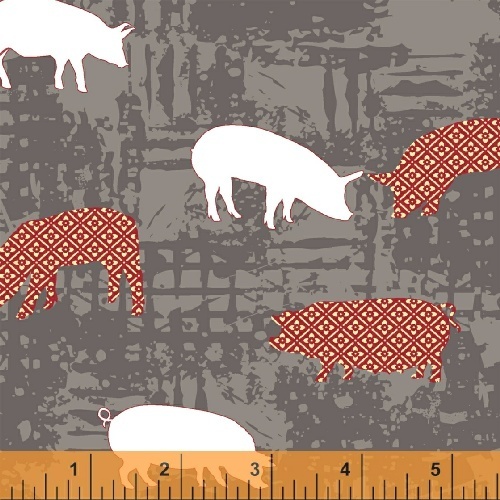 Farm to Fork by Lily Gonzales-Creed is a graphic collection of whimsical novelty prints accented with eye-catching basics. An homage to slow and local food, these mod designs are the perfect fit for Farmer's Market totes, family picnic quilts, grilling apparel, and kitchen soft goods. And who isn't jumping on the bacon bandwagon?